Yesterday BGR received an open letter by an anonymous high-level RIM employee, address to Mike Lazaridis and Jim Balsillie, CEOs of RIM. 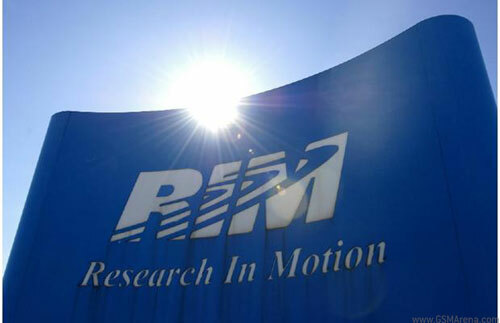 The employee pulled no punches as he (or she) outlined everything that is currently wrong with RIM and the reason they are losing so badly to Apple and Google. Among the things that the employee addressed the first was about BlackBerry devices lagging behind Apple’s when it comes to user experience. He also noted that Android devices lacked when it comes to simplicity and elegance and that BlackBerry has the opportunity to build something new and “uniquely BlackBerry” with QNX platform. He also mentions the lack of a senior software leader at RIM who can make good decisions and come up with something that is comparable to what Apple, Google and Microsoft is doing. A lack of communication within the team was also highlighted. He says RIM needs to concentrate on consumer demands instead of pleasing the carriers and that they should not be shipping products that aren’t 100% complete. A lack of applications was also mentioned and the need to bond with developers and again, not carriers. The next point that was targeted was the lazy marketing and how RIM advertised the negatives of their competitors to sell their products instead of focusing on their own positive aspects. There is also an apparent lack of accountability at RIM and that incompetent people are allowed to stay on and handle important decisions despite their past failures. He says that Canadians are too nice and if a company has to progress such people need to be showed the door and replaced with someone better. The employee mentions the need for a new, fresh CEO who would understand the current scenario and handle the situation properly without snapping at the media. Lastly he mentions the lack of interaction within the office and how some of them feel like Soviet-era government workplaces. The employees have lost confidence in the company and are likely to move elsewhere if the situation does not change. Now RIM decided to respond to this letter in their typical business-like manner. Instead of acknowledging or even understanding the issues, they found it hard to believe it could be from any of their employees and then went on a rant of how everything is peachy. To sum it up, their response was basically someone putting fingers in their ears and going “LALALALALA I CAN’T HEAR YOU!” when you try to give them some good advice. The entire employee letter and RIM’s response to it is in the source links. Read them and do let us know what you think of them.